SunEdison, Inc., the world’s largest renewable energy development company, today announced the search for #BritainsBrightestStreet to mark the launch of the new SunEdison Energy Saver Plan, a way for homeowners to go solar and take advantage of immediate savings with no upfront cost. SunEdison is on the hunt for Britain’s most solar savvy street – a street that wants to save money whilst also benefitting from the sun’s energy. Participating homeowners in the street awarded with the title #BritainsBrightestStreet will get 10 years worth of SunEdison’s Energy Saver Plan for free. These neighbours will be able to enjoy free solar energy and save approximately 45% on their electricity bill during this period. SunEdison will also donate a free solar panel system (Photovoltaic system) to the street who can nominate a local school or community building of their choice to be the beneficiary. So not only will the lucky homeowners from #BritainsBrightestStreet save on their electricity bills, they’ll also be benefitting others within their local community and contributing towards improving the environment at the same time. If interested, you and a minimum of five neighbours must have standard pitched roofs that face South or South West to get the full benefit from the sun’s rays and should be within close proximity of each other. Go to www.sunedisonenergysaverplan.co.uk/britainsbrighteststreet to read the full qualifying criteria. 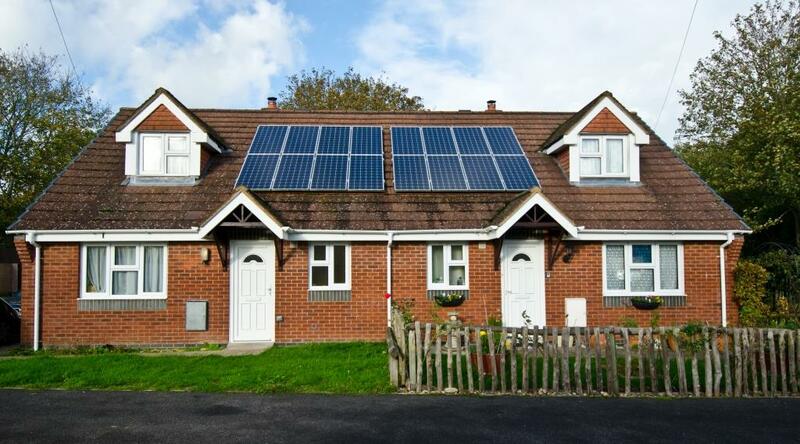 Upon fulfilling the criteria and being selected as #BritainsBrightestStreet, you and your neighbours will need to provide SunEdison access to your roofs and they will take care of the rest, including the installation, maintenance and insurance of the system. SunEdison stands behind each system with a performance guarantee for the duration of the contract – giving customers complete peace of mind. Mark Babcock, Vice President of SunEdison Residential and Commercial Europe, said of the search for #BritainsBrightestStreet: “We are looking for a street in Britain that wants to be the most solar savvy. Not only will the selected neighbours benefit from the free installation and maintenance of solar panels, they will also be saving money off their electricity bills by taking advantage of 10 years’ worth of free energy from the sun’s rays. This is something every bright homeowner and in this case, street, should definitely consider”. SunEdison is the first company to offer this type of solar product to the home market. Signing up for the SunEdison Energy Saver Plan offers consumers more affordable and predictable solar electricity rates for 20 years with a fixed annual increase of 3.5%, which is below the average 8% annual increase of electricity prices over the last 10 years. Homeowners can accelerate their potential savings by shifting their energy use to coincide with peak solar hours, which can be accomplished by using high energy appliances like washing machines and tumble driers during the daytime. SunEdison will manage and install your system through a network of professional partners who have been certified after taking a comprehensive training course that provides the highest quality standards. To learn more about the SunEdison Energy Saver Plan, visit www.sunedisonenergysaverplan.co.uk. This energy saver plan seems amazing. Energy saving is one of the basic concept which is paid attention at the time of Asbestos Surveys. It is important to conduct investigation process for getting EPC . It’s really informative.